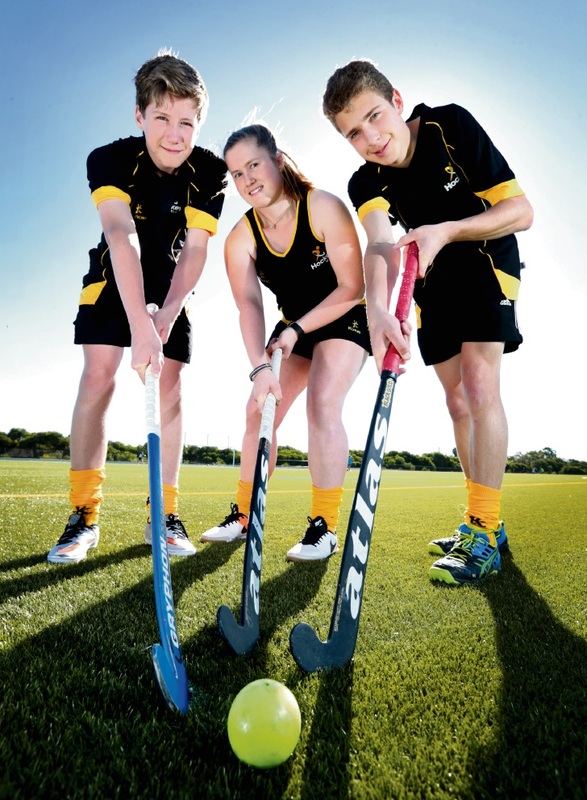 THREE local teenagers, including two siblings, have been selected to represent WA in the upcoming |National Hockey Championships. Ben Milne, of Henley Brook, and Ciara and Aidan Quirk, of The Vines, were given the news recently that they would be competing at the championships in Wollongong in January. Ben, who was selected in the Under-15 boys team, said he was |ecstatic with his selection. “All the hard work and following a solid training schedule had paid off,” he said. Ben has been a member of the Old Guildford Mundaring Hockey Club for the last two years, formerly playing for the Ellenbrook Falcons Hockey Club. His club teammate Aidan, who plays in goals, was also selected in the Under-15s team. “I have been playing hockey for about six years and have been goalkeeping for four,” Aidan said. Aidan’s sister Ciara, who has been involved in the sport since the age of 10, earned selection in the women’s under-18 team. “I felt pretty happy and excited when I found out I was selected,” she said. The trio currently train two to three times a week and play up to three games, in preparation for January. “It is a lot of hockey but I get a lot out of it and enjoy every moment,” Ben said. “Hockey may not be the biggest and most popular sport in WA, but it has amazing coaches, players and mentors,” he said. “It’s a team game that anyone can play,” Aidan added.